Galaxy S6 & S6 Edge+ Are Getting The December Security Patch - AndroGuider | One Stop For The Techy You! 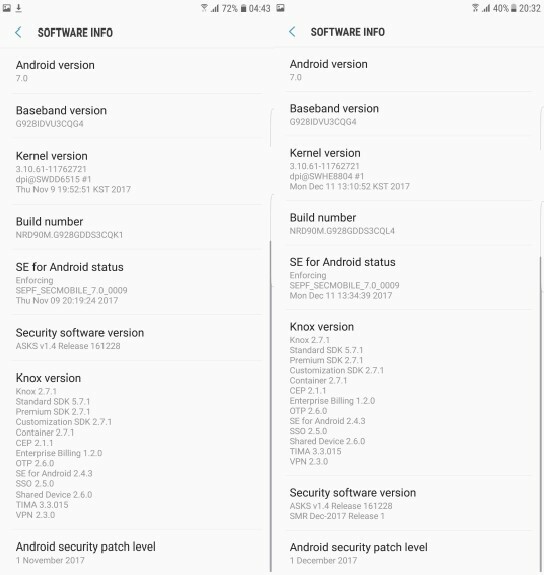 It remains to be seen whether Samsung will update the Galaxy S6 to Oreo, but for the time being the South Korean tech giant is rolling out the December 2017 security patch to the S6 and S6 Edge+ owners. We were tipped of this update earlier today. 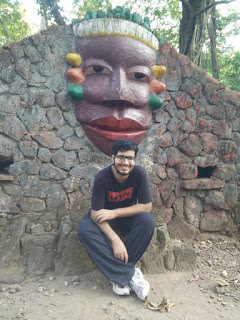 The tipster said that he got the update yesterday in India. To certify his claims, the tipster sent us two screenshots. 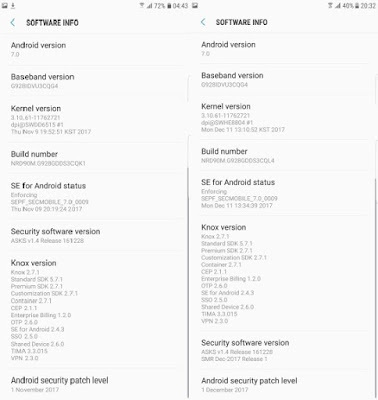 The image on the left is that of an S6 Edge+ running the November security patch and the image on the right is of the same device on the December patch. The build number for the update is NRD90M.G928GDDS3CQL4. We don't have any knowledge of whether this update includes fixes for major bugs. If you use a Galaxy S6 or S6 Edge, you would be getting a notification of this update soon. You can manually check for the update by heading over to Settings > About phone > System updates.